Agape Love is an Enigma. Who can understand It? 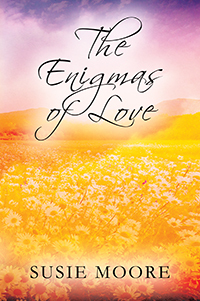 The Enigmas of Love is a journey that I was inspired to embark upon with my children to depict a picture of agape love. The Authors created an amazing picture that is enlightening, transforming and filled with the Word of God for verification of the truth of God’s indescribable love. Dr. Susie JA Moore is a servant of her Lord and Savior Jesus Christ. She loves spending time with her children, grand children, great-grandchildren and great-great grandson. Dr. Moore’s greatest joy is serving the Lord, by encouraging others to live for the Lord.